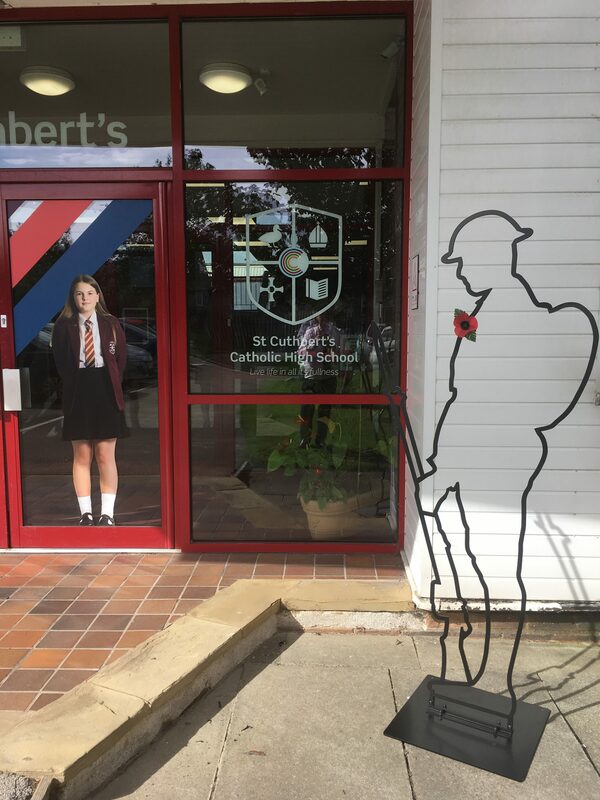 With St Cuthbert’s Catholic High School’s Diamond Jubilee year drawing to a close, it has installed a Tommy silhouette to commemorate the First World War. This past year, the St Helens school has celebrated its Diamond Jubilee, hosting many events to remember the lives of all those men and women educated at St Cuthbert’s since 1957. 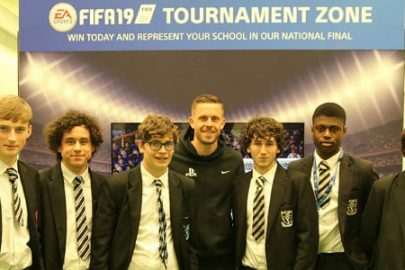 The school was keen to leave a legacy from its year of celebrations. Using funds raised by the final community event of the year – StCuthFEST – the school has installed its own Tommy silhouette as part of the “There But Not There” centenary commemoration of the end of the 1914-1918 war. “There But Not There” aims to place a representative figure for every name on local war memorials around the country, into their place of worship, their school, their workplace or wherever their absence was keenly felt. Commenting on the installation, headteacher Mrs Twist said: “Remembrance has always been an important annual event in our school calendar. As the centenary period draws to a close we wanted a real focus with which to educate younger generations on the level of sacrifice made by British and Commonwealth men and women in the First World War, and the impact this war had on our society and culture today. Head of Humanities, Mrs Holly Brown added: “In the lead up to Armistice Day we will be exploring lots of different aspects of the end of the First World War including an exciting piece of work with the Commonwealth War Graves Commission. Funds raised from the sale of the Tommies will contribute directly to the work carried out by the following beneficiary charities: Commonwealth War Graves Foundation, Help for Heroes, Combat Stress, Walking with the Wounded.